National research shows that when foster youth exit care at or around age 18, half of them are unemployed; one third are dependent on public assistance; a quarter are incarcerated; and over a fifth are homeless. A United States Department of Labor study of transition age youth in five states, including California, concluded that few youth leave the foster care system prepared for work. At age 18, 75% of foster youth have little to no work experience. Our work includes the implementation, assessment, and ongoing evaluation of three workforce programs designed to provide employment and job training to youth in foster care, including foster youth who have crossed over into the juvenile justice system. 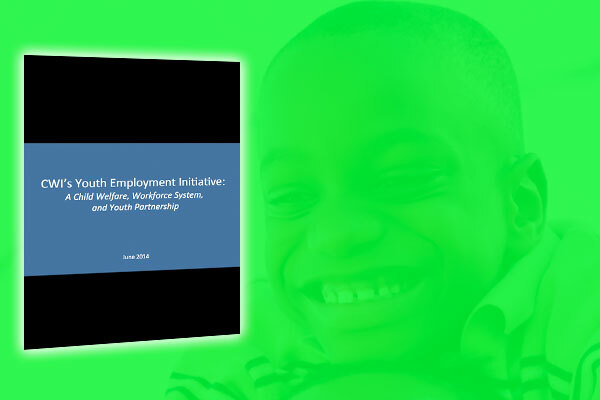 Through this work, CWI aims to establish the workforce system that is a more integrated and inclusive resource for youth in foster care, that allows service coordination across systems, raises awareness of WIA services among child welfare partners and employers, and identifies and removes barriers in both the child welfare and workforce systems that prevent youth from accessing jobs and vocational training.